In the first clip, the boy appears to drag his feet as he walks, while his knees — particularly the left one — stay bent throughout his steps. In the second clip, his knees remain bowed inward. But his legs — now clad in a robotic exoskeleton — swing more as they move, and his feet lift off the ground and his knees bend and flex in time with his step. 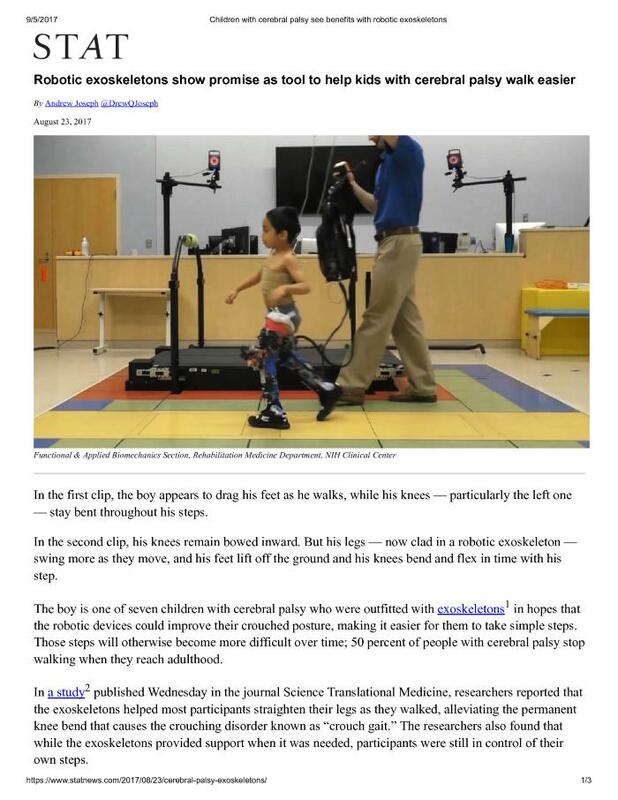 The boy is one of seven children with cerebral palsy who were outfitted with exoskeletons in hopes that the robotic devices could improve their crouched posture, making it easier for them to take simple steps. Those steps will otherwise become more difficult over time; 50 percent of people with cerebral palsy stop walking when they reach adulthood.